When I moved to New York from Manila, one of my biggest concerns was whether my then-girlfriend (now wife) ate Filipino food, or if I had to eat pancakes for the rest of my life. 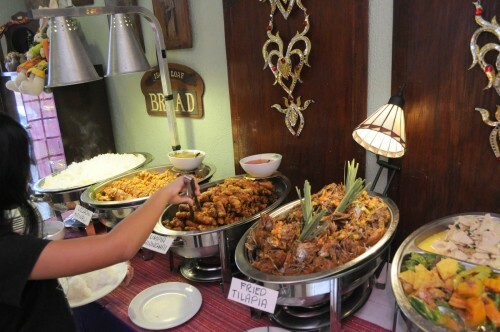 A Pinoy breakfast is always heavy with the protein of meat, fish and eggs, and a big helping of garlic fried rice. On occasion some pickled papaya might grace the plate, but for the most part this breakfast is everything a farmer would need to make it through the day. I was relieved to know that she was every bit a Filipino food hound as myself. 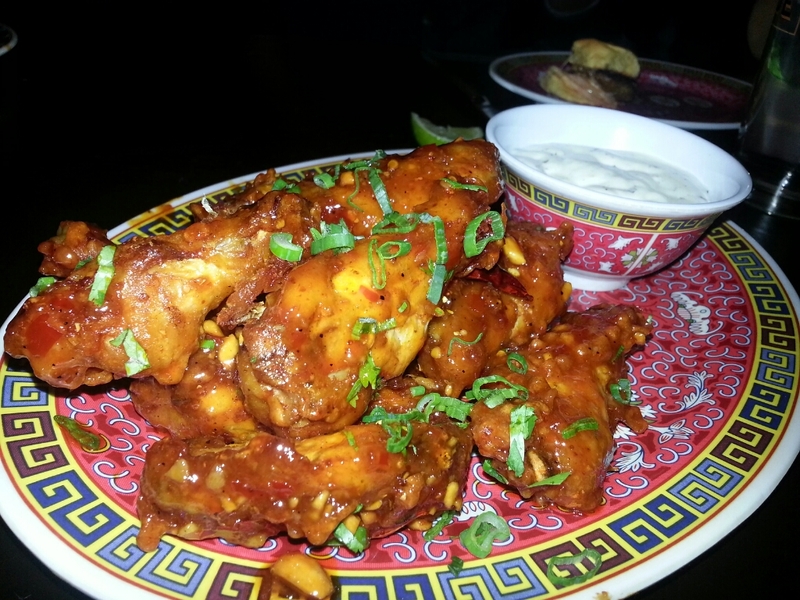 The only problem was that the closest decent Filipino restaurant was a car ride away, and we didn’t have a car. And nobody made tapsilog the way I liked it. So I had to make my own. 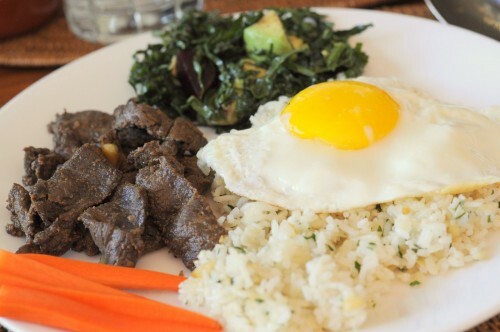 Tapsilog – a Filipino farmer’s breakfast of beef, egg and garlic rice. 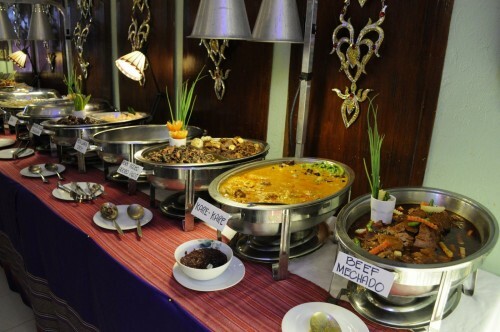 This entry was posted in breakfast, Filipino Food, Recipes and tagged beef, breakfast, tapsilog on January 6, 2013 by admin. Long ago and oh so very far away, I made the trek to Vigan, Ilocos, a Spanish town north of Manila, to visit a friend. She took me to the nearby bagnet and longganisa factory, where curtains of sausages hung on clotheslines and vats of pork belly slabs were being seasoned by bare-handed women rubbing the meat with spices before they hung them to dry. In a basic sense bagnet is simply deep-fried pork belly cubes but in the Ilocano tradition these pieces of meat are seasoned and air-cured before cooking. The result is deep flavor that penetrates through the layers of meat and fat, a given when dealing with the wonderful gift of nature that is the pork belly. This entry was posted in Filipino Food, Restaurants and tagged bagnet, heart attack city, makati, philippines on December 4, 2012 by admin. …or that’s what I would call it, except that it’s not a public event but actually a private one I partake of whenever I go home to the Philippines for a visit. 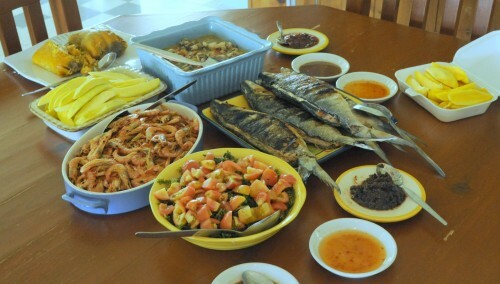 Steamed shrimp, seaweed salad (arorosep), grilled milkfish (bangus), sauteed oysters, tamales, green mangoes and shrimp paste. I spend some time at my parents’ beach house to visit my childhood nanny who lives nearby. Consequently, my need for a place to stay leaves me the opportunity to sample the food cooked by our decades-long caretaker Mila, who takes local delicacies and comes up with a feast according to my request. 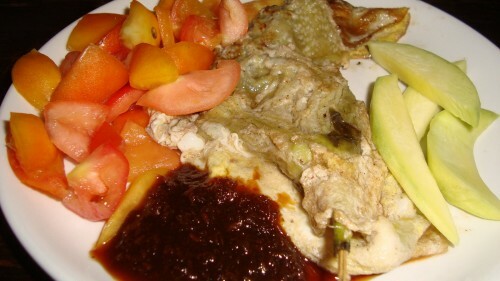 This entry was posted in dinners, Filipino Food, meal ideas on August 23, 2012 by admin.